Both practical and attractive with its sleek modern styling, this bookcase is sure to enhance the look of any room in your home, and the furniture collection’s neutral design ensures it will complement any existing decor. 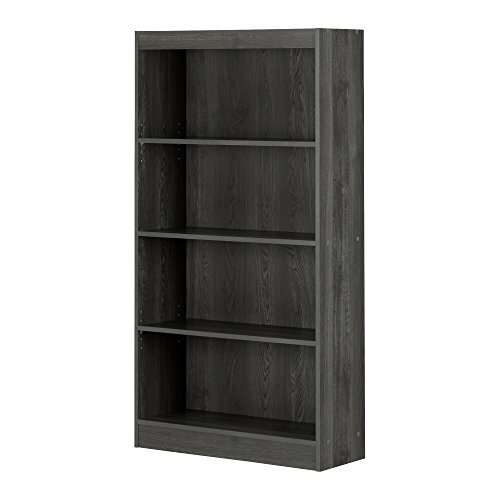 The versatile 4-shelf bookcase can meet all your storage needs, and is the ideal space to organize and store your books, binders, toys or decorative items. An effective and reliable storage solution for kids and adults bedrooms, living rooms, offices and playrooms, the bookcase features 4 open, practical and accessible storage spaces, separated by a combination of 1 fixed shelf and 2 adjustable shelves that can support up to 25 lb.